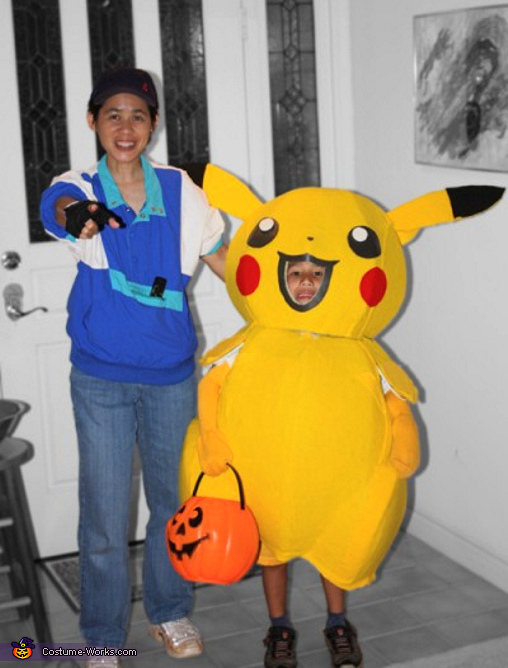 My son Carson is Pokemon crazy and told me he wanted to be Pikachu for Halloween this year. So Pikachu is dad-made of flexible foam and covered with yellow felt. It took two rolls of duct tape and an entire bag of hot glue gun sticks but Pikachu held together on Halloween night. Love it - way to go, dad! Wish I were this creative! How old is your son in this picture? Just trying to estimate how much felt and flexible foam I would need to buy for a nearly 7 year old boy. HOw can we make this!?!? Can you email me a step by step guide, so I can make this for my son? Can u send me the video how to make it or step by step pics.